Henry Street running West from Market Street in the Two Bridges neighborhood of Manhattan. On a cold February night in the Two Bridges neighborhood of Manhattan, Committee Against Anti-Asian Violence (CAAAV) organizers Melanie Wang and Emily Mock were joined by a couple of other volunteers for one of their weekly outreach expeditions. They were armed with a list of targeted buildings and flyers translated into either Mandarin or Cantonese. The list targeted tenement buildings with narrow hallways fit for one person to pass. One of the five-floor building with four units on each floor has no gas — the entire building has not had gas for three months, which is standard according to Wang — but one resident said the superintendent made sure to pass out hot plates to all the residents, and he insisted that he had no problems with his landlord. Another resident said her dad has been calling daily the property management office but there was no answer; the family was paying $2,900 monthly, she said. Another building was trying to push out its rent-stabilized tenants by misinforming the tenants of their rights, the advocates said. In another building, one tenant nervously told Wang his family was fine and had no issues. The apartments CAAAV visited also included tenants that were young, white professionals whose rents are reaching the rent-stabilization threshold of $2,733. A peak from the hallway showed those apartments were in much better condition than the apartments housing older, Asian immigrant tenants. One younger tenant said her building was sold in December and had been undergoing intensive renovations, which had led to shutoffs of hot water without warning. Recently, she received notice her rent will jump from $2,400 to $2,800 on her next lease. She also said she observed several older, Asian families move out right before the building was sold. A senior Asian couple who had lived in one building for over two decades said they had no problems with the landlord and were offered a buyout. The woman said her husband was considering the offer but they needed to find another place. Concerns about tenant harassment, rising rents and sudden neighborhood change frame the intense debate about the proposed development of three buildings along the East River in Two Bridges. For some long-time community members, the fight against displacing development and conserving neighborhood culture still continues, and for other Two Bridges natives, the Lower East Side neighborhood lost the fight a long time ago. Those differing perspectives on a shared experience have sent community members in different directions in response to the plan. One group, despite not wanting the development, says if they cannot stop the buildings from coming then they should have a formal land-use review process to negotiate more amenities for the community. Another group says the city should nix the deal wholly because it violates the city’s own zoning resolution. Proponents of the development plan see an opportunity for monies which can rehabilitate a community that has been long underserved. The joint application filed by four developers would allow three new mixed-use high-rise buildings: a 1,008-foot rental tower at 247 Cherry Street by JDS Development Group; a 798-foot dual-tower project 260 South Street by L+M Development Partners and CIM Group; and a 730-foot building at 259 Clinton Street by Starrett Corporation. The buildings do not require a zoning change. They do, however, require the modification of a special permit that covers the area. Controversially, the Department of City Planning determined that the proposed buildings represent only a “minor modification” of that permit, and therefore did not require ULURP—under which the City Council would have had a binding vote on the project. Instead, after an environmental review, the City Planning Commission approved the projects on its own in December. Due to the lawsuits, the city has temporarily halted the application. According to the city’s Environmental Impact Statement, the four towers would bring in 11,000 square feet for retail and over 2,700 new residential units to the area; 25 percent of those units will be affordable. Two hundred of those 690 affordable units would be set aside for seniors. Details of how affordability will be measured has not been shared yet. One of the dual-tower development projects is using the air rights from buildings along South Street and another set of the buildings would use parking or empty lots along Cherry and Clinton streets. Despite the set aside for affordable housing units, housing advocates have not shown support for the plan. Instead advocacy groups such as Association for Neighborhood and Housing Development have written that the development proposal for Two Bridges would “do more harm than good” by bringing additional market-rate apartments into a neighborhood already struggling with rising housing costs, eventually leading to displacement. CAAAV and Good Old Lower East Side (GOLES) both said during a public hearing last year in October that their organizations already see tenants being displaced from the area. 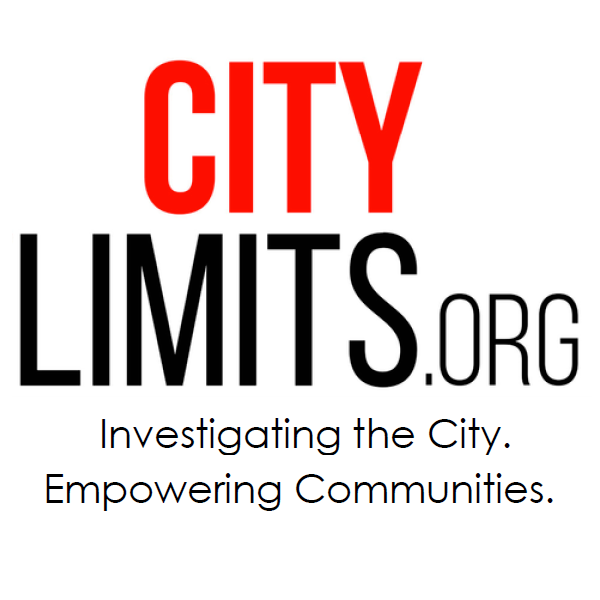 In past emails with City Limits, the developers have said that after two years of engagement with the Two Bridges community, the development application would also include public amenities and investments such as funding for $12 million in essential repairs to the local NYCHA complex Rutger Houses, resiliency upgrades for both existing and proposed buildings, an estimated $40 million in upgrades to the East Broadway subway station that will make the station ADA-accessible for the first time, an estimated $15 million in upgrades to three local public parks, and the creation of new public spaces in the area. Last year, the City Council and Brewer filed a joint lawsuit a couple of days after the City Planning Commission voted in favor of it. That lawsuit names the Department of City Planning, the City Planning Commission (CPC), the Department of Buildings and City Planning Director and Commission Chair Marisa Lago as parties whose actions allegedly “failed to perform a duty enjoined upon them by law and who have made a determination in violation of lawful procedure,” according to court records. In January, the City Council and Brewer updated the lawsuit alleging the proposed development would have to lift a 1986 deed restriction at 80 Rutgers Slip, a senior affordable housing building. According to the update of the lawsuit, that deed restriction ensures low-income housing for residents “with disabilities and the elderly in perpetuity,” which the updated lawsuit alleges was never disclosed by the developers or the Department of City Planning. For Trev0r Holland, resident leader at 82 Rutgers Street and co-founder of Tenants United Fighting For Lower East Side (better known as TUFF-LES), a warning of what is come to his neighborhood faces him everyday when he looks towards the corner of South Street and Pike Slip at the Extell building. The Extell is a luxury, 72-story, condominium building slated for an estimated 800 apartment units accompanied by a separate affordable development of 204 apartments of studios, one-bedrooms and two-bedrooms next door at 229 Cherry Street and a promise of a major grocery supermarket to replace the loss of Pathmark. Holland says the residents and small businesses in his community have been fighting disinvestment, the impact of construction and rising prices for years and now they face the possibility of further displacement and cut services in the face of the new development plan. His community is facing many issues beyond the oncoming development projects. In his building, which is home to majority low-income residents, there is a need for more social programs and many apartments need repairs, some from the impact of the Extell construction project. “Our windows are 20 years old. The Extell tower has caused permanent damage to our building, our windows and doors are misaligned,” he says. He argues that the Two Bridges developers group, which includes JDS Development Group, L+M Development Partners, CIM Group and Starrett Corporation, barely engaged with the community because if they had then the tenants he represented may have benefitted from the projects. During one of the engagement meetings, Holland recalled tenants asked about replacing the windows, a possible shuttle service on South Street, maintenance of the green streets or Allen Street Malls, a public park. “They took none of that into account,” he says. In Holland’s building, service programs are rendered by the Two Bridges Neighborhood Council (TBNC). He says he has seen those programs cut back and become less affordable for the low- to very low-income families in his building. TBNC denies both claims. TUFF-LES, which includes residents from the Two Bridges community, is one of the organizations planning for a second lawsuit against the city’s approval of the development application for Two Bridges. Members of TUFF-LES, CAAAV and Good Old Lower East Side (GOLES) main goal is stop the developments, but they also are in favor of having the three development project applications go through ULURP. Holland said the group is waiting to see how the city would respond to the joint lawsuit from the City Council and Brewer. “It would be helpful to see what people are thinking and the arguments the developer and the city are going to have. So we can counter some of that, but in the end it’s up to the judge,” he said. While public officials and groups like TUFF-LES try to force the Two Bridges deal through ULURP, other dissenting voices in the community such as Lower East Side Organized Neighbors (LESON) have a different strategy. In past interviews with City Limits, LESON has said it does not support the ULURP process and will file a separate lawsuit to stop the development altogether. 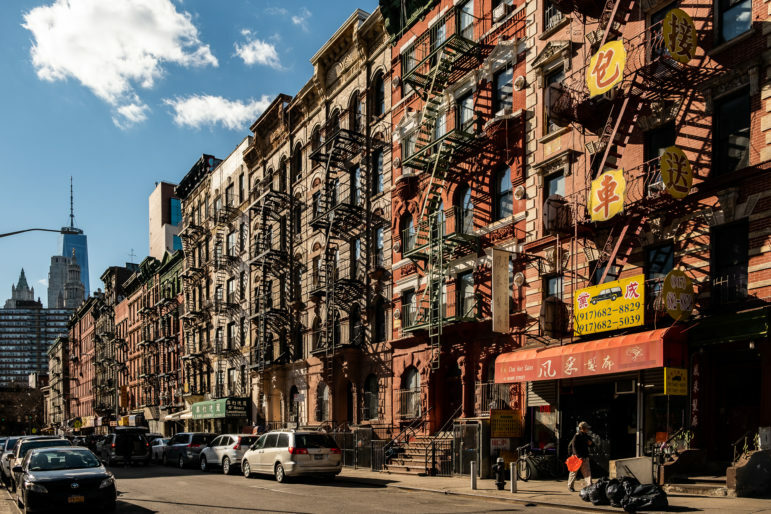 Some of these critics want to revive the decade old, community-driven plan by the Chinatown Working Group to rezone Chinatown and parts of the Lower East Side. LESON says the city is violating zoning text article 7 section 8 on “Special Regulations Applying to Large-Scale Residential Developments” which require that future uses “promote and protect public health, safety and general welfare.” The group says the de Blasio administration has violated those regulations by allowing the Two Bridges development to move forward. In the past, LESON has been critical of Chin for supporting ULURP rather than rejecting the application en masse. That critique has split the community groups that share disdain for the Two Bridges deal. “This is one of the strategies, which is what people don’t really understand. Yes, we want someone saying ‘No towers and no compromises,’ but don’t criticize folks who are working on another strategy. Don’t do that,” Holland says. He feels hopes for a community-initiated rezoning are long gone and that ULURP is the community’s best hope now. The Lower East Side, one of the first settlements of the Dutch, has been a landing zone for immigrants virtually since the city’s founding. In the 19th and 20th centuries, the Lower East saw an influx of European immigrants from Germany to Greece who settled into run-down tenements. Urban renewal projects begin to reshape the area in the 1930s and 1940s. It was not until the 1960s when economic forces and and major immigration reforms spurred another influx of migrants including U.S. citizens from Puerto Rico and Asian immigrant families. The years of crisis in the 1970s wounded the area. But a new wave of development soon followed, according to Brendan Murphy, the senior education associate at the Tenement Museum on Orchard Street. In 1989, the neighborhood got its first self-described luxury building on East Houston Street. More than a decade later, the combined impact of September 11, industries shutting down in the area, and rising rents sees Asian immigrants and Puerto Ricans migrating to the outer boroughs. Although Census numbers show only a 4 percent decrease in the area’s Asian population since 2000. CAAAV believes the loss was larger. The executive director of Two Bridges Neighborhood Council, Victor Papa, who grew up in the Lower East Side, says the change in the area is stark but nothing new. His family were among the many Italian immigrants that settled in the area to build their lives in the United States. Papa has seen the changes that came and went in the Lower East Side for decades and for him, preservation is the key to housing in Two Bridges and the Lower East Side. Papa wants to preserve affordable housing and prepare his community for the future. Two Bridges Neighborhood Council will receive almost $60 million for selling their air rights to JDS Development Group, one of the developers on the Two Bridges application. But Papa argues the capital from selling those air rights can be used to re-invest in the community by bringing in more services such a local pharmacy for seniors or a major supermarket which was lost during the Extell deal. Two Bridges Neighborhood Council does not oppose a ULURP review but Papa says they are abiding by the law for an urban renewal site which, according to the city’s interpretation, does not require a ULURP for the current application. During the engagement process Papa said he stayed away from the meetings. He recalls developers speaking with tenants but the meeting became unproductive. It is late and cold and the volunteers are ready to go home to their families. Wang and Mock plan to make a side trip before they head home to another building nearby to check on a tenant. This building is not on the official list. One thought on “Embrace it? Channel it? Or Try to Stop It Altogether? While spoken Chinese dialects like Cantonese and Mandarin are different, the written Chinese characters are the same. Therefore flyers for both Cantonese and Mandarin speaking tenants would be the same.